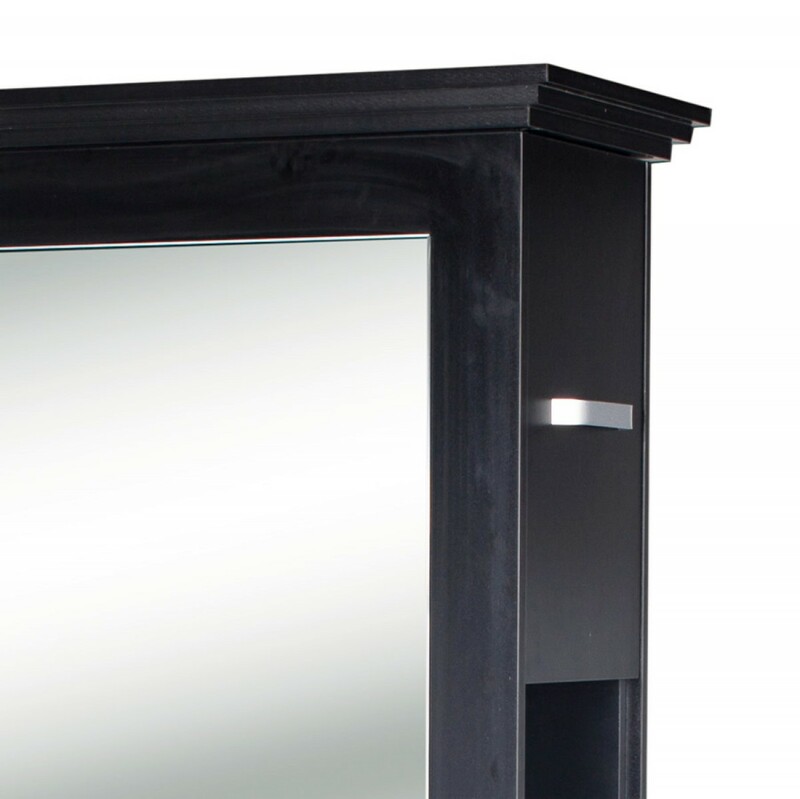 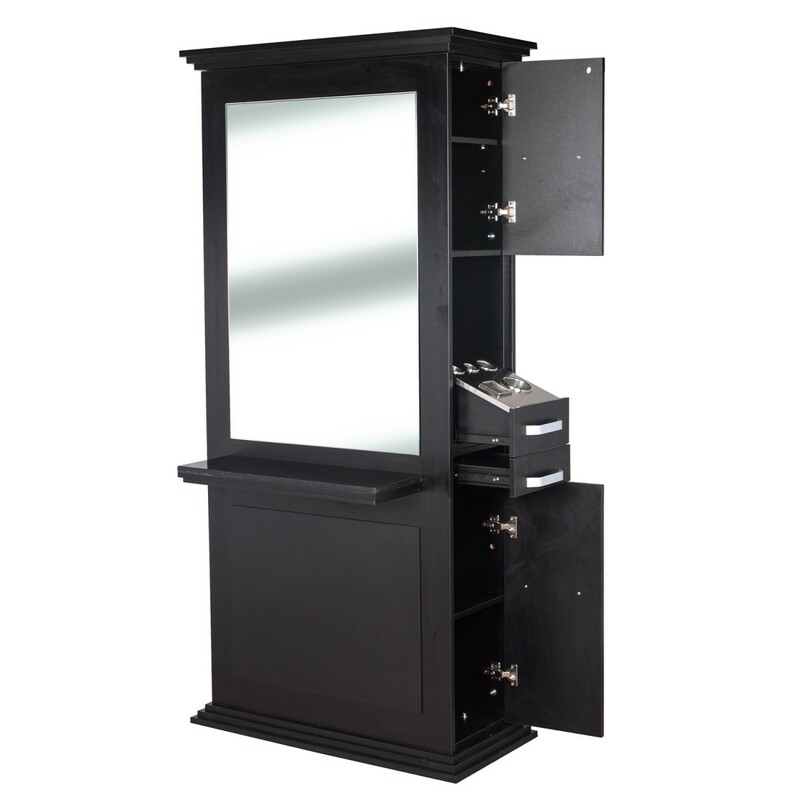 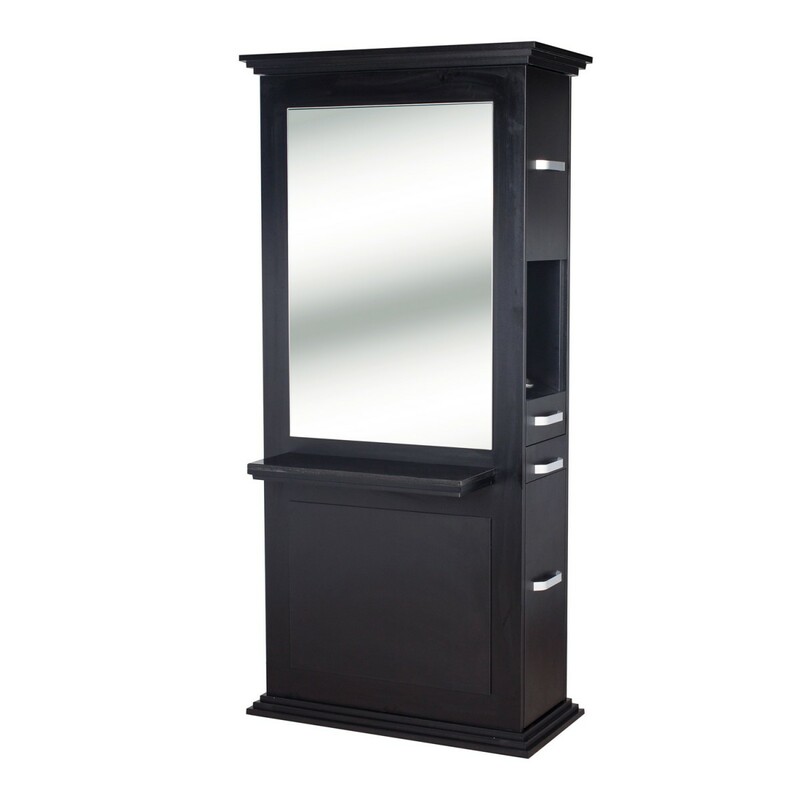 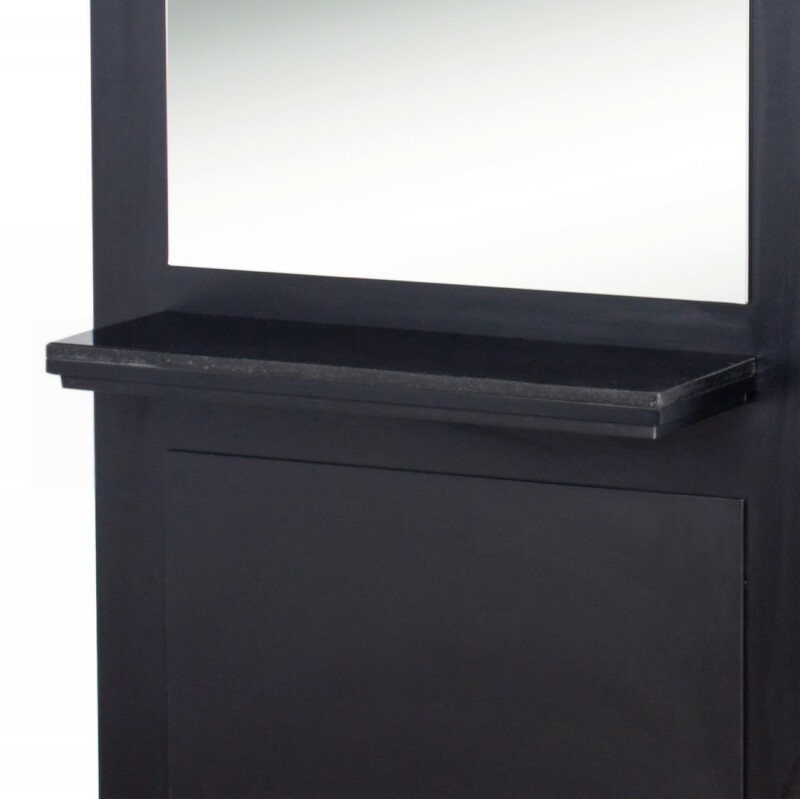 Elevate your salon with the "Siena" styling station. 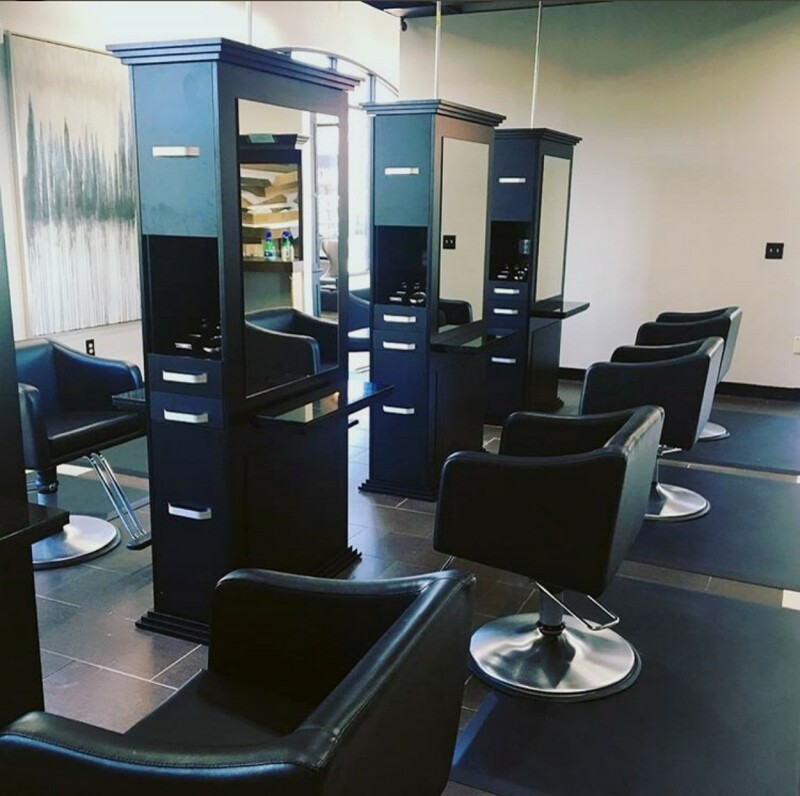 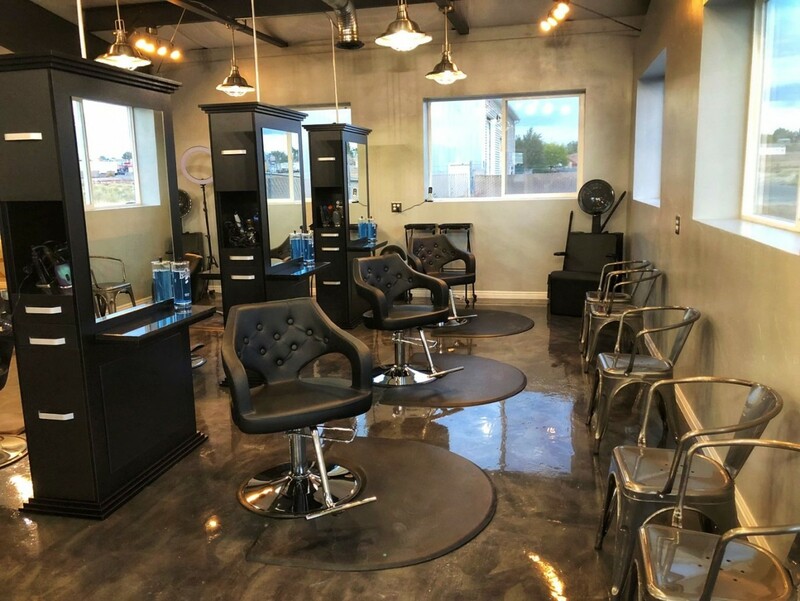 Make your salon look good while you are making your customers look good. 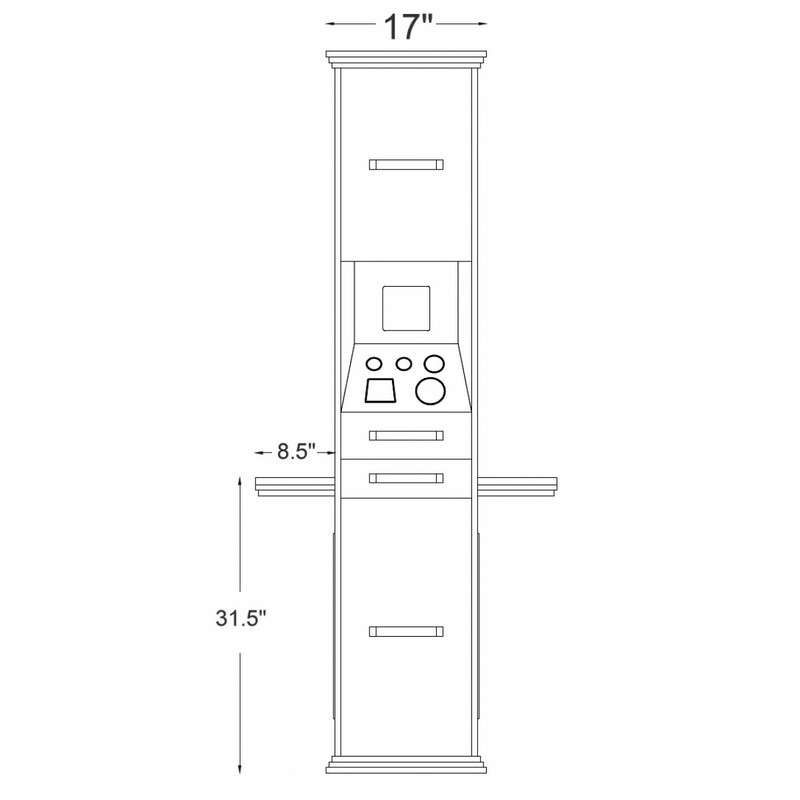 The double sides will maximize the use of your floor space. 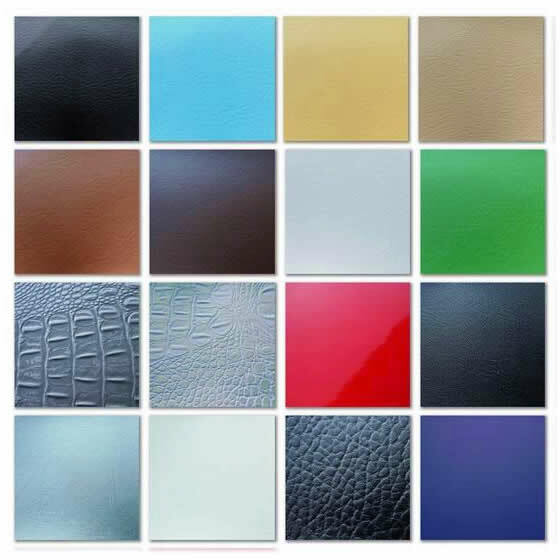 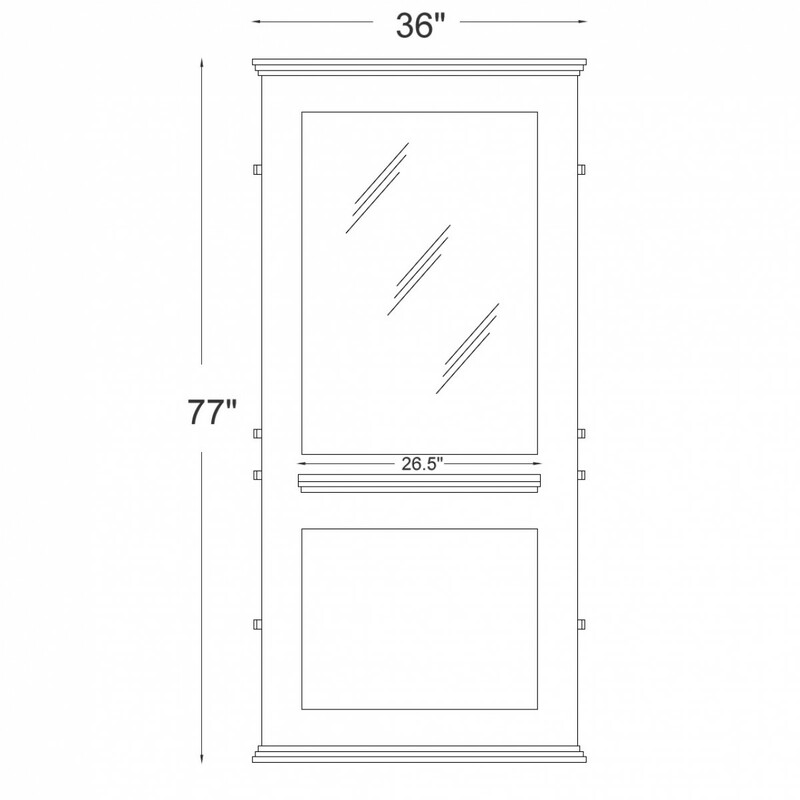 Quality materials are used throughout including soft closing hinges for the doors. 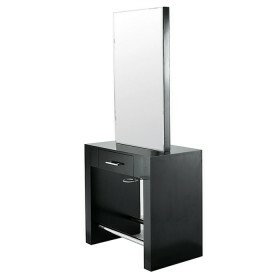 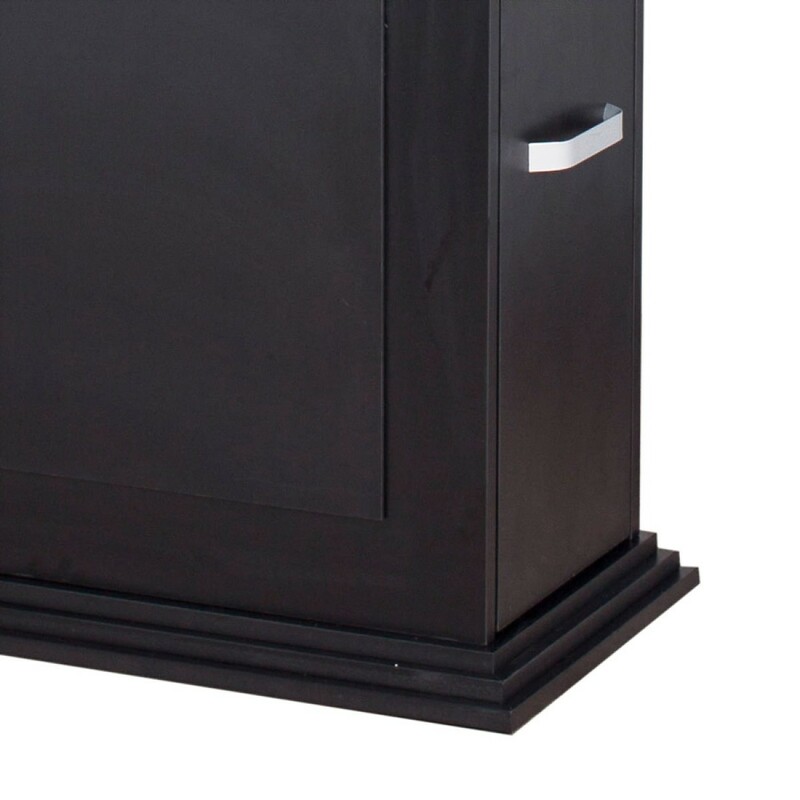 - "Siena" is a double sided station featuring storage cabinets and drawers on both sides. 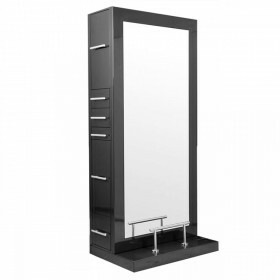 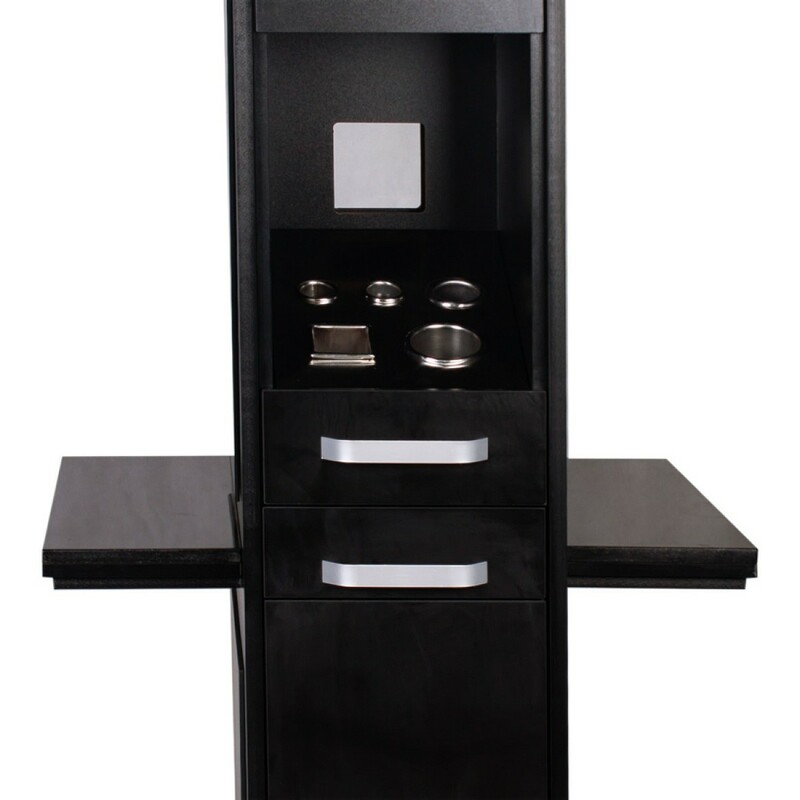 - This station is available in matte black with black granite shelves. 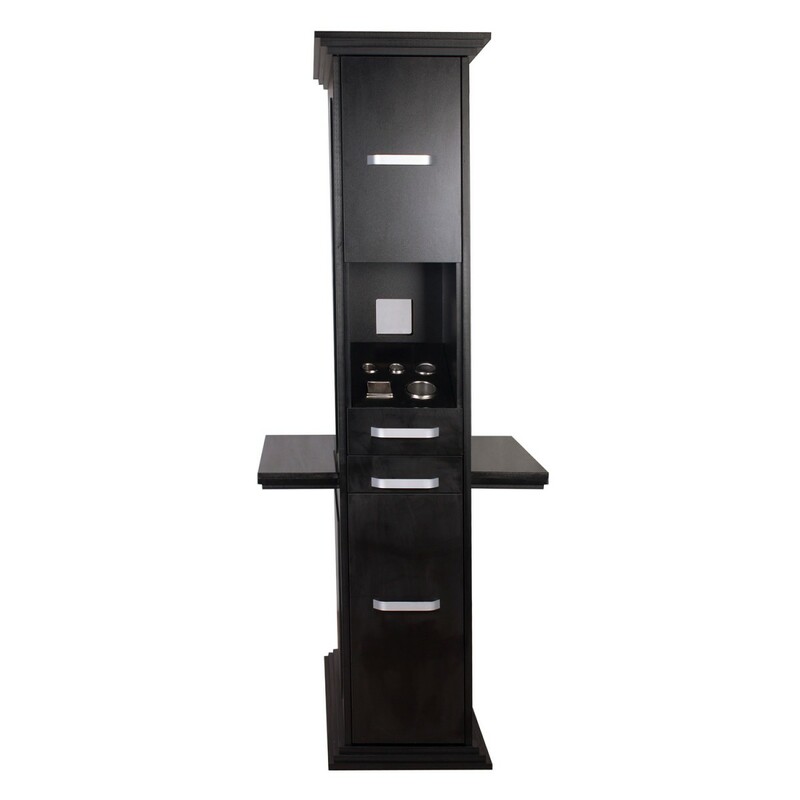 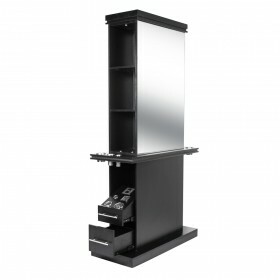 - Its freestanding design allows you to place this station in the middle of your floor. 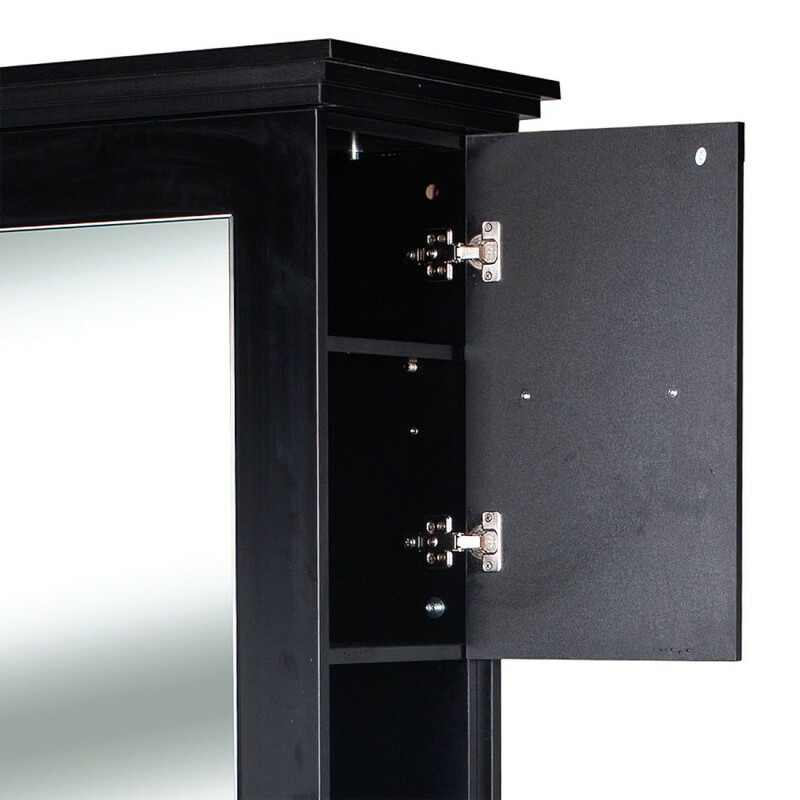 - Power can be supplied via openings in the top and bottom but power outlet or cords are not included. 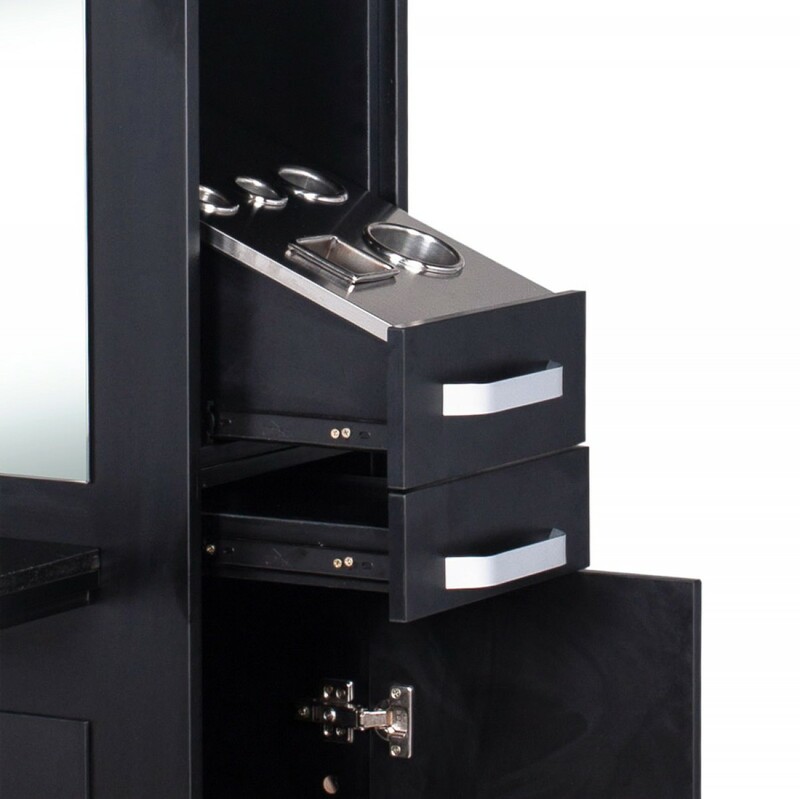 - The sliding tool drawer on each side features 3 iron holders (1.5", 1.5", 2"), 1 clipper holder (2.2" X 2.2"), and 1 blow dryer holder (3").